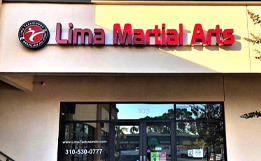 For over two decades, LIMA TAEKWONDO & MARTIAL ARTS ACADEMY (Culver City and Torrance locations) has established itself as one of the premier martial arts studios in the state of California. 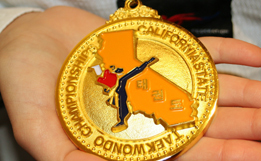 LIMA TKD has prided itself on providing high quality instruction, attracting a large number of students not only from the neighbourhoods, but from all over the great Los Angeles area, routinely driving in from the San Fernando Valley, Malibu, Long Beach and the South Bay area. It is this tradition of excellence that has kept students coming back routinely to study at Lima Academy. Walk into the Academy and you’ll immediately feel the energy and enthusiasm! We offer a very flexible schedule, with at least three instructors to assist you in any class. And there are classes scheduled seven days a week, making us one of a very few martial arts schools in all of California to offer such “round the clock” instruction. Can’t find the time in your hectic day to fit in one of the regular one-hour classes? We also offer PRIVATE, one on one instruction available any time, even weekends. Just call to schedule your personal lesson. At our studio you can expect to get more than just physical training, discipline and self-defense, though. You’ll also find yourself making many new friends. Business professionals, teachers, students, moms, dads, even entire families all train together in a healthy and positive environment. In many of the adult classes, there is usually equal number of women and men. 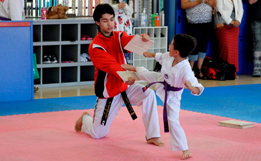 In fact, many of the parents who train at LIMA TKD never intended to study martial arts at all. They came to watch their children. But, after making friends with some of the other parents (including some who were already students) they got caught up in the excitement and soon found themselves out on the mat kicking, along with everyone else. 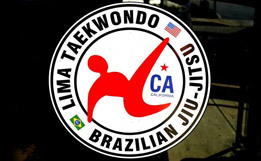 LIMA TKD offers two different programs to meet your training needs. The BASIC program for those how want to come up to two or three classes a week or the UNLIMITED program (also called the BLACK BELT CLUB) for an unlimited number of classes each week. Most students come to two or three classes a week. That’s enough to get and keep you in good shape, or in three or four years, to get you that black belt you’ve always dreamed about. With an authentic martial arts program that is fun, safe and educational, LIMA TKD is a good choice for the whole family! Taekwondo is a Korean martial art established in the 1950s; its roots are from Japanese Karate (mostly Shotokan) with influence of a Korean folkloric game called Taekyon. The accurate translation of the word Taekwondo is: “The way of kicking and punching” and the Art have evolved over the years into a modern and popular Olympic Sport and it is the most practiced martial art in the world today. 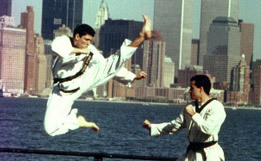 Of all the children in the United States who study a martial art, about 60% study Taekwondo. The remaining 40% are split between other martial arts, such as Karate, Judo, or Kung Fu. At LIMA TKD the primarily focuses of teaching is education, which is one of the reasons of its success. LIMA TKD course has 3 levels of instruction: Beginner, Intermediate and Advanced. Each level is divided and represented by color belts in a total of 10 belts. Beginner’s belt colors are: White, Yellow, Orange; Intermediate belt colors are: Green, Purple, Blue and Red. Advanced colors are: Red w/ a stripe, Brown and Brown w/ a stripe. Each one of the 10 belts has a distinctive curriculum and in order to move up from one belt to another the student has to take part in a Belt Test. Generally there are 6 Belt Tests a year and the approximate time expended in each belt depends of how fast the student improves. The evaluation in a Belt Test is done according with each individual potential. The “minimum” time spends in each belt is: Beginners (2 to 4 months), Intermediate (4 to 6 months) and Advanced (6 months). For toddlers (Ninjas) extra time is usually necessary. For some people Martial Arts became a lifetime discipline. After you reach the Black Belt level you can reevaluate your goals and follow different directions such as: become an Assistant Instructor, Instructor or a High Level competitor in Sparring or Forms, since TKD is an Olympic Sport. The Black Belt is divided in 10 Degrees (Dans). Achieving the 4th Degree you receive the title of Master and by the 7th Degree you become a Grandmaster.